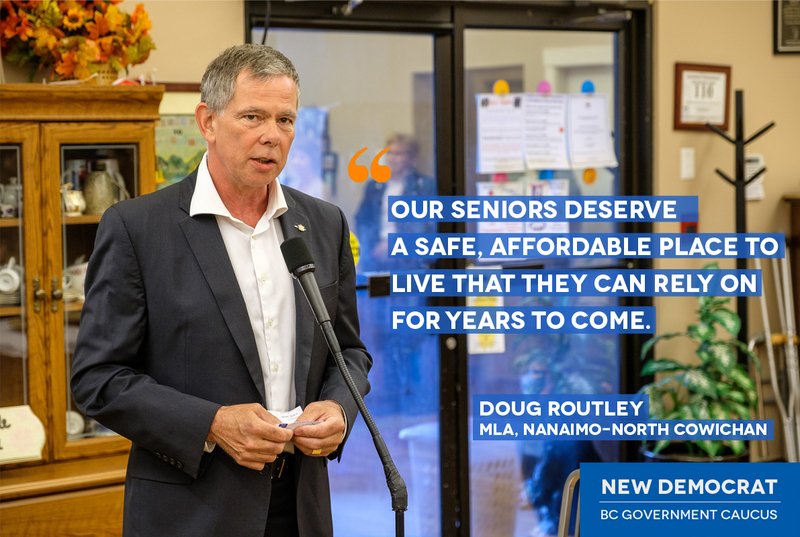 NANAIMO – At an event that he emceed Monday morning, MLA Doug Routley welcomed an announcement that construction will soon begin on more than 150 new affordable rental homes for seniors in Nanaimo. The project, located at 10 Buttertubs Dr. in Nanaimo, will include 159 new units, as well as communal spaces indoors and outdoors to socialize. Tenants will also be able to buy affordable meals on the grounds, and receive light housekeeping services. Construction will start later this summer, and is expected to be complete by September 2020. This project is part of a larger investment in the care and well-being of seniors in BC. 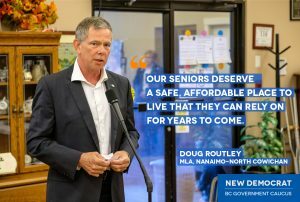 Seniors in Nanaimo who qualify for the Shelter Aid for Elderly Renters (SAFER) program will also see their rent supplements increase by an average of $930 a year.